After a painting by Joseph Wright of Derby, entitled "Edwin the Minstrel." The sitter was the artist's grandfather, Thomas Haden of Derby, also a surgeon. The etching may have been based on the mezzotint reproduction of the painting. 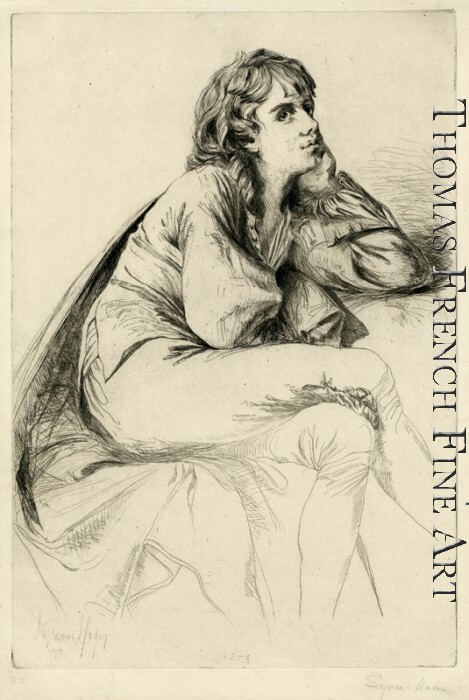 This is one of Haden's few portrait etchings, and was included in Haden's Etudes a l'eau-forte (1866). A brilliant impression in very fine condition.